We specialize in rapid delivery of prototype thermoform trays for medical device clinical trials. It is possible to have trays delivered within one week. By using resin molds sufficient thermoform trays can be made for testing purposes. It is possible to have prototypes available in about a week. 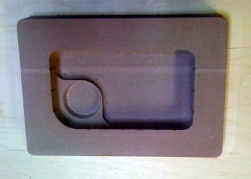 We can also assist in the design of thermoform trays, and have internal mold making capabilities. We can also provide samples thermoform trays with sealed Tyvek lidding for evaluation purposes. Thermoform trays are made from material like, ABS, HIPS, PVC, PETG, HDPP ABS, HDPE, LDPE and Valox as well as AC/PETG and AC/PVCFilms - Co-Extruded films, and speciality films. 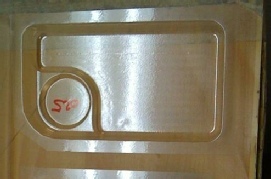 All thermoform trays formed in production are to GMP and SPC standards and come with full documentation when required. ISO 9008 - 2008 compliant manufacturer of thermoform trays for medical device packaging.